(Bloomberg) -- The U.S. and China are sending top-level hawks to Europe for what’s shaping up as a showdown between the two powers at a key security conference as they vie for influence and technological dominance in one of the world’s richest markets. Politburo member Yang Jiechi will be the most senior Chinese official to attend Friday’s Munich Security Conference since it began in 1963. He’ll head the largest-ever delegation to what is -- in essence – an annual get together of the U.S.-led transatlantic defense community. Yang, a former ambassador to the U.S., is known for delivering diatribes on the status of Taiwan and other issues sensitive to Beijing. He is expected to push back against a U.S. campaign to exclude Chinese companies, in particular Huawei Technologies Co., from the construction of Europe’s 5G mobile networks. Huawei has become a lightning rod for the broader tussle between China and the U.S. for sway. The U.S. has repeatedly cited concerns about the telecoms giant being a “Trojan Horse” for Chinese security infiltration, while Beijing says the claims about Huawei are unfounded and a bid to contain China because it is seen as a threat to decades of U.S dominance. Running alongside the Huawei tensions is a trade war which, despite a short-term truce, still risks higher tariffs on Chinese goods. 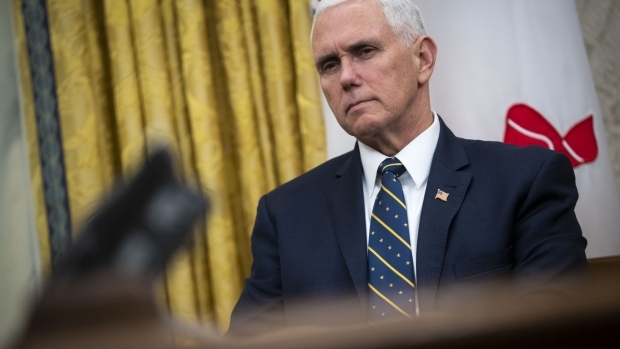 A bipartisan U.S. delegation headed by Vice President Mike Pence is also expected to set records for its size at Munich, unless a fresh government shutdown emerges and keeps dozens of lawmakers at home. In October, Pence shocked Beijing with a Cold War-style speech that accused an “Orwellian’’ Chinese state of systematic cheating on trade rules, corporate espionage and intellectual property theft as it sought to control “90 percent of the world’s advanced industries’’ and achieve military dominance. “It’s a big moment, and quite worrying in terms of the symbolism,’’ said Kerry Brown, a professor of Chinese studies at King’s College London. He described the U.S.-China relationship as increasingly competitive and difficult to manage, because the two sides had fundamentally conflicting goals. “The U.S. doesn’t want to be displaced as number one in the world, and China is going to be number one,’’ said Brown. Although Munich is effectively home turf for U.S. leaders, Pence may have his work cut out for him. There is widespread concern in Europe over President Donald Trump’s "America First" policies, especially since the departure of internationally-trusted officials who had promised to maintain U.S. foreign policy continuity – most recently James Mattis as Secretary of Defense in December. “U.S. policy is increasingly looking like Trump’s tweets,’’ said the authors of a report issued by the event’s organizers in advance of the Munich conference. A Pew Research poll in the same report asked Britons, Canadians, French, Germans, Japanese and Russians whether they saw U.S. or Chinese power and influence as the greater threat; the U.S. was the bigger concern for all but Japan. That result was repeated when respondents were asked who they trusted to “do the right thing regarding world affairs" -- Trump or President Xi Jinping. With U.S-China trade talks in the balance -- negotiators are in Beijing this week and Trump has indicated he may extend the March 1 deadline for higher tariffs -- it’s possible both sides will soften their rhetoric somewhat in Munich. Pence is expected to reiterate the administration’s stance on China in his Munich speech this weekend. Still, Chinese officials have in recent months become increasingly aggressive in rebutting criticism, and Yang is likely to take a hard line, at least in public, according to Shi Yinhong, a professor of international relations at Renmin University in Beijing. He said Yang would set out China’s stance on security matters and listen to what other leaders have to say. But he warned not to hold out much hope for reconciliation. “China and U.S. have entered a phrase of total tension,” said Shi. Secretary of State Michael Pompeo is double-teaming with Pence this week, touring central European capitals in an effort to shore up ties with neglected allies that in recent years have been courted by China and Russia. In Hungary, a Huawei hub for Europe, Pompeo warned that co-locating Chinese equipment with “important U.S. systems’’ would make it difficult for countries to continue partnering with the U.S. “Our task is to make them aware of the concerns and risks and show them the data,’’ Pompeo said in Bratislava, the Slovak capital, when asked what he was telling allies about using Huawei. “I’m confident they’ll make good decisions for their own nation. They’ll ‘Slovakia first’,’’ Pompeo said. The U.S. has had some success in influencing allies over Huawei. Europe has been divided over the issue and some countries have growing security concerns of their own. However, cost issues, and the Chinese role in the supply chains of some of Huawei’s competitors mean the decision to exclude it from 5G networks remains a fraught one. The U.K., for example, has had staff from its intelligence communications agency, GCHQ, embedded with Huawei for years. Officials are now considering whether to go on managing the relationship through oversight, or ban the company’s equipment from future mobile networks. A supply chains review next month is expected to be critical of the Chinese company. In the Czech Republic, an intelligence review ordered by Prime Minister Andrej Babis warned in December that the nation’s mobile networks and government agencies should not work with Huawei or fellow Chinese provider ZTE Corp., due to their alleged ties to security services. Both companies deny being vehicles for China’s intelligence network. Poland -- a staunch U.S. ally -- last month ordered government officials to exercise caution using Chinese mobile devices. It also arrested a Huawei employee the government accused of espionage. Huawei fired the employee, saying he had brought the company into disrepute. Progress in the U.S. campaign may benefit from rare support across the foreign policy establishment for keeping Chinese equipment out of the backbone of 5G networks, which will connect everything from driver-less cars to the Internet of things. The race for 5G “rises to the level of importance of such projects as the Manhattan Project (to build the atom bomb) and the ‘man on the moon’ efforts of the 20th century,’’ said General James L. Jones in a Feb. 11 memo for the Atlantic Council, a U.S. think tank. Jones, a former Supreme Allied Commander Europe, was a National Security Adviser in the Obama administration. --With assistance from Peter Martin, Brendan Scott, Kitty Donaldson and Glen Carey.